I knew exactly what he was referring to: Little Blue Truck’s Christmas. We’d loaded it upstairs with all the tubs of Christmas lights and ornaments. The book features a beautiful snow-covered landscape where Little Blue Truck delivers fresh-cut Christmas trees to his friends before coming home in the frosty dusk to his own Christmas tree with real blinking lights. It’s beautifully done, and even to my adult eyes, the book evokes a sense of wonder, a desire to befriend Little Blue Truck and join in the festivities. My toddler was mesmerized by it—so much so that he’s asked for it periodically all year. Wonder at a Heavenly Father who made them and wove together an entire world for them to explore. Wonder at a God who is big enough to handle anything they will ever face. And he hard-wired our kids, in varying ways, to respond to it. At Christmastime, you can take advantage of this—even if you don’t live in an idyllic snowy New England town with carolers knocking at your door. 1. Make room at the inn. Wonder requires margin and space to unfold, so the first and most challenging step is to create space in your calendar. I know your December was already blocked out with Christmas programs and invitations before Halloween arrived. I know it’s tempting to make Christmas perfectly Pinterest-ing for your family. (And let’s be honest: for social media.) Instead, be intentional. Practice your “no” and stick with a few key events that really mean something to your family; keep the rest of your Christmas moments simple. 2. Offer lots of hands-on experiences. Frankly, it’s hard to let a preschooler “help.” It takes at least 3.7 times as long. It’s exponentially messier. And the final result isn’t going to land you a Parenting magazine spread. But something amazing happens when you set the stage, and then allow your child to lead the way. • Let your preschooler select and package gifts for a child in need. Operation Christmas Child and Angel Tree are just two of many opportunities. Encourage your child to consider what the world might look like through the eyes of a kid in very different circumstances. • Invite your child to “deck the halls” with you. Put them in charge of ornaments for the lower part of the tree, even if you end up with a dozen candy canes on one branch. Give them the extra cuttings from the tree and synthetic snow to decorate the living room or play room. Your child is made in the image of the God who created flaming October maples and night skies brilliant with stars and planets. So give them raw materials to design and invent themselves. • Build a nature Nativity. Spend time outside exploring and gathering supplies—leaves, twigs, stones. Then use the materials to build the elements of a Nativity scene. Populate it with the characters from a kids’ Nativity set, or just use your child’s action figures and toys. Tell the story as you put it all together. • Christmas cookies! No one is judging if you use box mix and Dollar Store cookie cutters. Whatever your method, don’t let your child miss the flat-out miracle that all those various ingredients mix together into a glop that somehow turns into a delicious cookie with an overdose of sprinkles. • Turn on the lights. Tap into a child’s delight in anything that glows or lights up. Make a Christmas wonderland of their bedroom by stringing up multi-colored lights or do bath time in the (mostly) dark with red and green glow sticks. 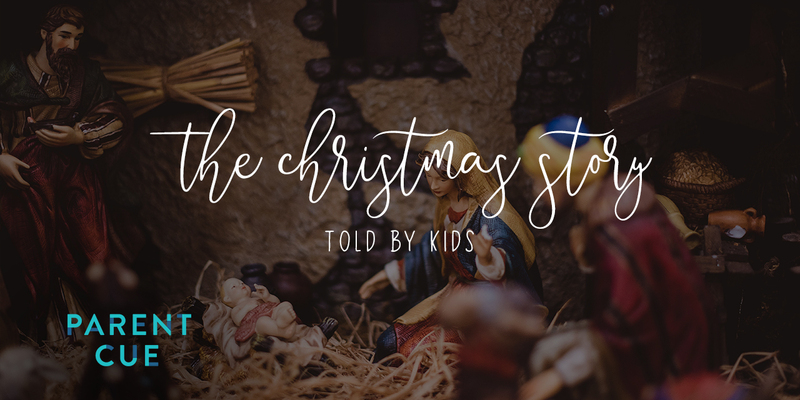 Well-crafted stories can reflect the beauty and imagination of the incredible True Story that God is telling. Music and art can do the same. 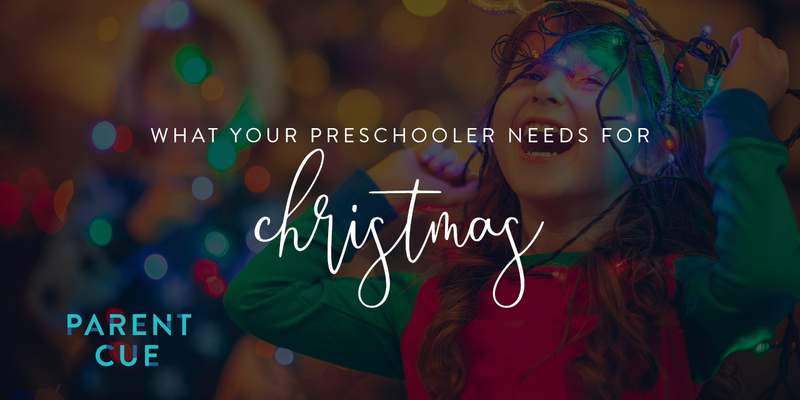 Find ways to introduce your preschooler, whether it’s through reading preschool versions of the Christmas Story or listening to different genres of Christmas music in the car and while making dinner. • When you read the Christmas story, explore and ask questions. How do you think Mary felt about being so far from home when she had Baby Jesus? What do you think it was like for the shepherds when all those angels showed up? • Grab a few electric candles or flashlights and go sing your child’s favorite Christmas songs for the neighbors at dusk. • Keep your child’s favorite Christmas stories packed away until Thanksgiving each year. Make a special occasion of bringing them out—and add some new books, as well. 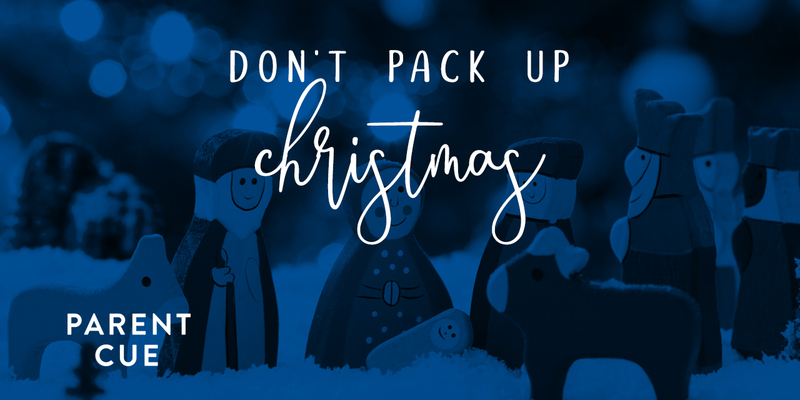 Whatever you choose, this Christmas, make space. Take time to recall the most magical moments from your own childhood holidays. Then set the stage for your preschooler, and watch their eyes to see the wonder unfold. Elizabeth Hansen has worked as a script writer and story developer for Orange since 2011. 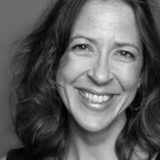 She holds an MFA in screenwriting from Regent University and writes for Feature Presentation, Get Reel, FX, and more. Elizabeth and her husband, David, write and produce films through their company, Arclight Studios. They have two sons and live in Canton, Georgia.